Richmond, Chesterfield, Glen Allen, Goochland, Henrico, Near-West End, Midlothian, Powhatan, Short Pump. At TRUE STEAM, we understand that your business should always look its very best. This is why we provide the highest quality Commercial Carpet Cleaning Richmond VA and work around a schedule that fits your needs. Whether you have a single room that needs cleaning, or an entire facility, TRUE STEAM will do it all. Ensure that you make a great first impression when people enter your business, and allow your employees to work in a clean, healthy environment they deserve. We offer different levels of Commercial Carpet Cleaning depending on your specific needs, varying from a full restoration to a simple spot cleaning. We also offer interim cleanings involving a low moisture process, which dries in as little as 20 minutes. Low moisture cleaning is great for many reasons; it helps to extend the life and improve the appearance between steam cleanings and it removes build up of dust, dirt, grease and other pollutants that dwell in your commercial carpets. TRUE STEAM not only provides the area’s best Commercial Carpet Cleaning, we are also able to clean upholstery such as chairs and sofas. Tile & grout looks great when installed, but can be extremely difficult to keep clean. Let us use our top of the line truck mounted system to break through the dirt and leave the tile floors looking like new. You can count on us to transform the look and health of your businesses floors. 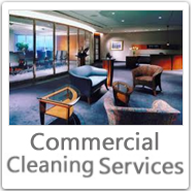 We offer a 7-day spot free warranty on commercial carpet cleaning, upholstery cleaning and tile & grout cleaning. If any spots return, or you notice an area needs a touch up, we will return within the first 7 days after the original cleaning and fix any issues free of charge. Then you can simply relax, knowing that your carpets are going to look their very best once we are finished. Our carpet cleaning service is fast, convenient and hassle-free. We take special care with handling all of your furniture and valuables. Our goal is to get your business back to normal setting as quickly as possible. Once the cleaning is complete, we will return all furniture and valuables to their original positions. Give us a call, or send an email to info@TrueSteamLLC.com to set up a FREE walk through of your commercial space. Our trained and licensed technicians will answer any questions you may have and help you decide on a cleaning plan that works for you. 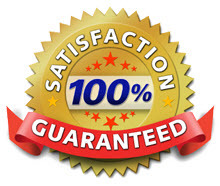 Your 100% satisfaction is our guarantee. Contact us today and discover what makes TRUE STEAM Richmond VA’s preferred commercial carpet cleaning company. If for any reason you are unsatisfied after our service, TRUE STREAM will return to your home within 90 days of the original cleaning and fix the problem. Our friendly technicians will answer any questions you may have. © 2015-2025 TRUE STEAM, INC. - ALL RIGHTS RESERVED.